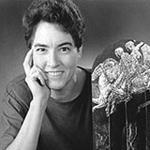 Department of Art Professor Mary Stewart has been awarded a Senior Specialist Fulbright Fellowship for 2013-14. She will be working with Seneca College, in Toronto, Canada plus eight other colleges and universities in the greater Toronto area to plan and implement a teaching and learning conference to occur in May, 2014. This will be a two-part visit. The first two weeks (October 21-November 4) will be devoted to lectures and meetings with administrators and staff from various schools and colleges of art and design. By the end of the first visit, a well-developed plan for a May 2014 teaching and learning conference will be in place. The second two weeks (April 21-May 4) will be devoted to preparations for and implementation of the conference itself. Professor Stewart will provide an in-depth analysis of the first-year program at Seneca College, as well as an more general analysis of curricula of the Greater Toronto Area (GTA) universities and colleges for comparison and differentiation. She will identify the distinctive mission and delivery of each institution and propose ways to strengthen both. Areas of shared interest and potential collaboration among institutions will also be highlighted. Shortly after the conclusion of the second visit, she will provide a debrief and publish an Executive Summary that reflects the highlights of the forum and the next steps to be taken in terms of planning on-going continuity. Seneca College is investigating using a Canadian National Centre of Excellence (NSE) model to develop a best practices hub dedicated to teaching applied creativity. This process will be initiated through a conference that brings together four local universities (Ryerson, University of Toronto, York University, Ontario College of Art and Design) and five local colleges (Seneca, Sheridan, Humber, George Brown, Centennial) in the Greater Toronto Area. The FSU College of Fine Arts wishes to congratulate Mary Stewart on her wonderful achievement!